The Baltimore Ravens are one of the best NFL preseason picks you’ll ever find. They’ll get another crack at it Saturday against the wayward Buffalo Bills. So far, so good. 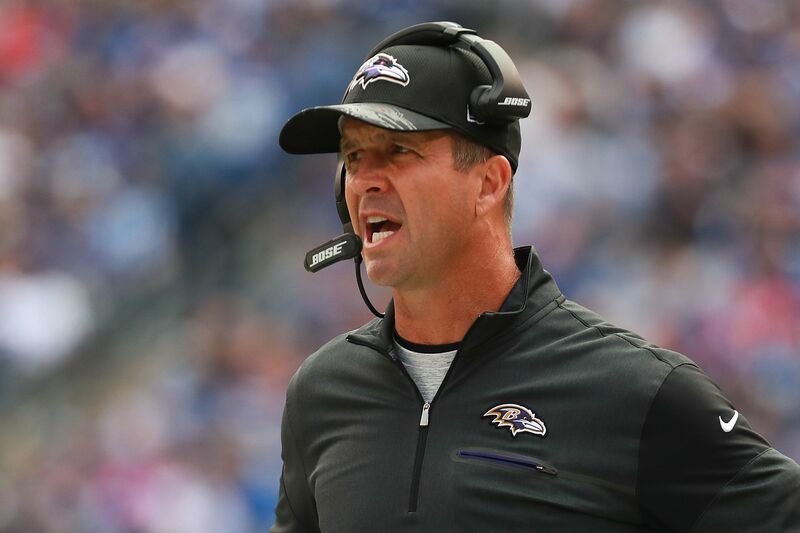 The Baltimore Ravens have been strong NFL preseason picks ever since John Harbaugh became head coach in 2008, and they did us a solid last week, beating the Miami Dolphins 31-7 as 2.5-point road dogs on the closing line. That improves Harbaugh’s exhibition record to 26-12 SU and 25-13 ATS. Money money money, hubba hubba hubba. Why stop now? The Ravens are back at home Saturday night (7:00 p.m. ET) to take on the Buffalo Bills, who are already on the skids at 0-2 SU and ATS. These were the first two games for rookie head coach Sean McDermott, so we don’t have much of a sample size to deal with, but given Harbaugh’s body of work and Buffalo’s current trajectory, taking Baltimore as a 3.5-point chalk on the NFL odds board seems appropriate. These are dark times for Bills fans. You could say that about the whole millennium thus far, but 2017 could be a new low. They cleaned out the front office after the 2017 NFL Draft, save for McDermott, who was for all intents and purposes hired by owners Terry and Kim Pegula — par for the course when it comes to head coaches. McDermott will be running this ship now. He worked under Andy Reid for over a decade with the Philadelphia Eagles before taking the defensive coordinator job with the Carolina Panthers in 2011; Reid is 35-39 SU and 35-35-4 ATS in exhibition play, so if the apple doesn’t fall too far from the tree, we can treat McDermott as a neutral factor when it comes to Saturday’s matchup. The larger story arc is far more interesting. The Bills weren’t awful during Rex Ryan’s brief tenure; they still have an exciting dual-threat quarterback in Tyrod Taylor, and they still have Pro-Bowl RB LeSean McCoy. But who will Taylor throw to? WR Sammy Watkins was traded to the Los Angeles Rams earlier this month for cornerback E.J. Gaines, then WR Anquan Boldin decided to retire Sunday, not even two weeks after signing a one-year deal with Buffalo. Whoopsie. It gets worse. On the same day that Watkins was traded, WR Jordan Matthews came over from the Eagles in exchange for CB Ronald Darby; Matthews injured his sternum (they’re calling it a “chip fracture”) during his first practice with the Bills, leaving him on the wrong side of questionable for Saturday’s game. And WR Rod Streater suffered a toe injury in last week’s 20-16 loss to Philadelphia (-3.5 at home). Without his usual array of targets, Taylor has struggled both in camp and on the field. And murmurs of the Bills “tanking” the 2017 campaign are already bubbling to the surface. Will they ship McCoy to a contender while he still has ample trade value? That’s the rumor going around; there should be plenty of QB talent in the 2018 Draft, led by USC blue-chipper Sam Darnold, so if the Bills are serious about rebuilding, now it the time to blow things up and start over. Which brings us back to Saturday’s game. The Ravens aren’t the picture of health by any means, and Harbaugh is expected to give his second- and third-stringers plenty of burn against Buffalo, rather than treat this contest as a standard Week 3 dress rehearsal. This might be a problem against just about anyone else, but the Bills aren’t at full strength, either, and morale is definitely on Baltimore’s side. Let’s stick with the program and give the Ravens another spin on our NFL Preseason Picks.